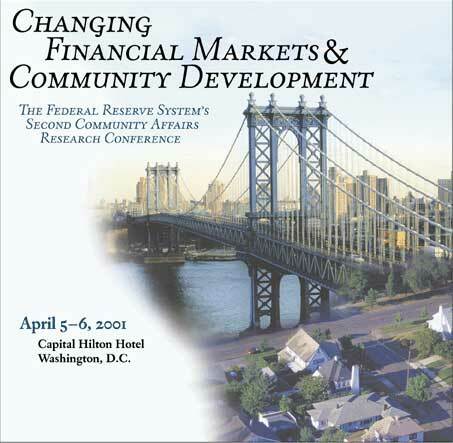 The Community Affairs Officers of the Federal Reserve System are holding their second research conference, Changing Financial Markets and Community Development. The two-day conference will present new academic research and lively discussions on how recent changes in financial markets are affecting low- and moderate-income communities and the role of the Community Reinvestment Act. For comments on this site, please fill out our feedback form.